Imagine yourself by the seaside, basking in some sort of tropical paradise? Want a wall dedicated to the beach, the ocean, and the surf? Then consider a tropical beach wallpaper mural from Magic Murals! If you're looking to decorate your home or office with a tropical or beach setting, then you're in the right place! Relax in a room dedicated to a beach paradise, set in the Tropics, beside a waterfall, under a colorful beach umbrella. Wake up to a beautiful ocean sunrise, and look out the porch from your cabana and see the boats drifting and fishing in the blue sea just off the coast, and see the palm trees waving in the breeze. All this in a wall mural in your home! Step off the porch of your bungalow and gather some seashells, feel the sand and saltwater under your feel and watch the waves break onto the beach, and the surfers trying their best to stay afloat. 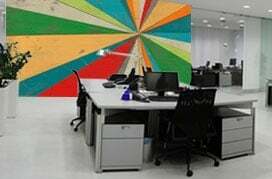 If this is what you're looking for, let Magic Murals help you paper a wall and make it every day! From the Atlantic coast to the Pacific, from Hawaii to Bora Bora to Southeast Asia, Magic Murals has the most beautiful tropical murals anywhere. We have beautiful beach artwork with the brilliant color of the tropics, as well as sensational photography of the most exotic locales on Earth! Float in a pool, with the sun on your back, and the colorful umbrellas lining the seaside. The surfboards line the walkway, and life is good. If you're looking a tropical way to decorate your home or business, then check out Magic Murals and their wide array of home wall murals. The highest quality images at the lowest prices, Magic Murals is committed to your satisfaction. Installation is easy, so don't hesitate! 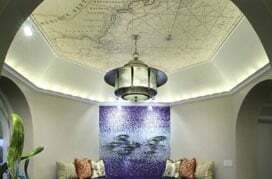 Call Magic Murals today, and create paradise in the comfort of your own home!